02.07.2018Debt consolidation: a blessing or a curse? Debt consolidation: a blessing or a curse? Australian consumer debt is on the rise. While there are some advantages to the debt spikes – such as increased consumer purchasing or boosted flexibility for consumers themselves – the high interest repayments are also getting increasingly difficult for borrowers to manage. Many banks and other lenders, then, are now offering a new type of product: consolidation. Consolidation works by taking out an extra loan, usually at lower interest, to cover all other debt repayments. On the face of it, it’s a great idea: it allows borrowers to get all of their debts in one place and enjoy one single rate of interest, rather than differing interest rate sizes across all different lenders. But there are downsides, too: the cash saved by consolidating loans is often again mismanaged, for example, while long term interest rate rises can increase the total repayment amount over time. Here’s a quick look at the pros and cons of the rise of debt consolidation. 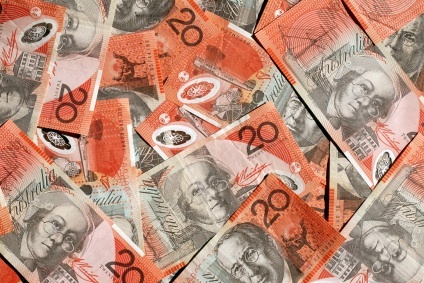 Here in Australia, some types of personal debts are now at record highs. The amount of debt devoted to housing costs, for instance, has skyrocketed from under half of all household debt in 1990 to three-quarters in the last few years. Moreover, with the cost of living on the up the average level of credit card debt has risen from $4,300 in the 2003-04 financial year to well over $5,000 at the start of this decade. As a tool to deal with these recent spikes in certain types of debt, debt consolidation is in some ways a valuable lifeline. For families who aren’t on the breadline but who need to make their cash stretch as far as possible, taking on the intense mortgage that was on offer at the time their home ownership journey began was perhaps the only way that they could purchase a home. But by rolling their mortgage debts into one with their car debts, credit card debts and more and placing all of it on a lower interest rate, debt consolidation is a great way for them to enjoy asset ownership more affordably than before. But, there are downsides. Consolidating a debt can often have an unintended effect: because the payments per month are lower, borrowers will often have to pay for longer. So, while monthly repayments may drop, the compromise might be a longer repayment period. If interest rates then rise in the long term, borrowers could end up getting hit. Perhaps the most insidious aspect of the debt consolidation is how it creates the illusion of financial responsibility and does not address the deeper causes of debt. It often allows borrowers to make the same mistakes all over again. For a borrower who has many different loans in many different places, it’s likely that they got there as a result of some underlying financial management problems. For instance, the borrower may not have understood the advantages of saving money, or they misjudged the impact that high interest rates would cause them. Debt consolidation may be a quick fix – but even if they begin to cut their interest repayment level, it’s not guaranteed that they will take the most financially responsible courses of action with the saved cash. If overspending is a problem, for example, it may simply be that the borrower will use the saved cash to take out another loan – especially given the high prevalence of financial product advertising in the modern age. Debt consolidation, then, is perhaps best suited only to those who have a clear understanding of why they need to change their financial habits as well as simply changing their interest rates. Debt consolidation is an appealing prospect for many Australian families. But while it can cut a borrower’s monthly repayments and provide a little more clarity on their overall debt picture, there are downsides too. The likely increased length of the term can lead to vulnerability from interest rate rises, while consolidation doesn’t always address the underlying reason why the borrower got into debt in the first place.